Saint Patrick’s Day (although only a legal holiday in Suffolk County, Massachusetts and Savannah, Georgia) is widely celebrated throughout the USA, as well as around the world. It is a chance for everyone to embrace Irish tradition and for the Irish-American community to celebrate. With parades, irish dancing and, of course, lots of Guinness. In fact, did you know that in March alone Diageo make approximately $28 million from sales of the drink in the US alone! If you are a retailer looking to make Saint Patrick’s Day special within your store, it’s a great time to embrace retail marketing. Promotional campaigns are a great way to drive interest in your retail store and incorporating holidays and special events into your marketing can help attract greater footfall and improve sales. A win win. 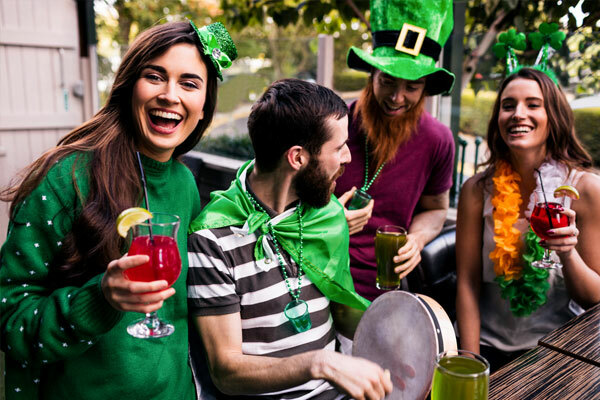 Naturally when you think about an event like Saint Patrick’s Day you will want a green color theme and marketing messages that suggest a short term promotion in line with the celebration. Window graphics are a great promotional tool – they can be used for the period you are running the promotion, then removed and roll up and store for next year. You could offer a limited time promotional discount on the retail window graphics, for example? If you wanted to offer a free gift or promotions on a particular range, a point of purchase display would be a great option, printed to your requirements and attracting the attention of your shoppers. However you choose to promote holidays, events or seasonal changes, AGRetail offer a wide range of marketing options from retail barricades to wall graphics, innovative store fronts for retailers or bespoke graphics and signage. AGRetail also offer print and online branding assistance for retailers, in fact, everything you need to build a successful retail business – without leaving it to luck!